Free voice and video calls to anyone else on Skype, It supports multiple platforms like Tablets, Mobile phone(Android, iPhone,Windows phone,Symbian) Mac or PC and more. Also let you IMs to your friends and family, no matter where they are. * Portrait calling on tablets. * Languages added : Portuguese, Norwegian and English (UK). * Performance improvements and fixes. * IMs between Skype accounts, video and voice calls are free(Data charges may apply) over 3G or WiFi. * Call and SMS to mobiles or landlines at low rate. * Send photos, videos and files to friends. * Enable to use both front and rear cameras. 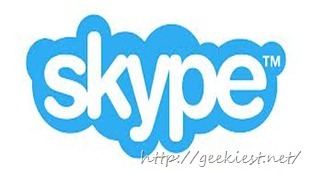 * You can add your Windows Live Messenger friends on Skype. Download Skype for Android 3.1.0.6458 Now!! !